"I agree with Kim Jong Un of North Korea that our personal relationship remains very good, perhaps the term excellent would be even more accurate, and that a third Summit would be good in that we fully understand where we each stand", he tweeted. "North Korea has tremendous potential for extraordinary growth, economic success and riches under the leadership of Chairman Kim. I look forward to the day, which could be soon, when Nuclear Weapons and Sanctions can be removed, and then watching North Korea become one of the most successful nations of the World!" The statement comes after Kim said in a speech in parliament earlier in the day that the US was talking a lot about a third summit but stressed that "the resumption of such a summit as the Hanoi summit is not inviting to us". Addressing the issue last week, Secretary of State Mike Pompeo said he was "confident" that the US president and the North Korean leader would hold a new meeting to negotiate denuclearisation of the Korean Peninsula "in the coming months". 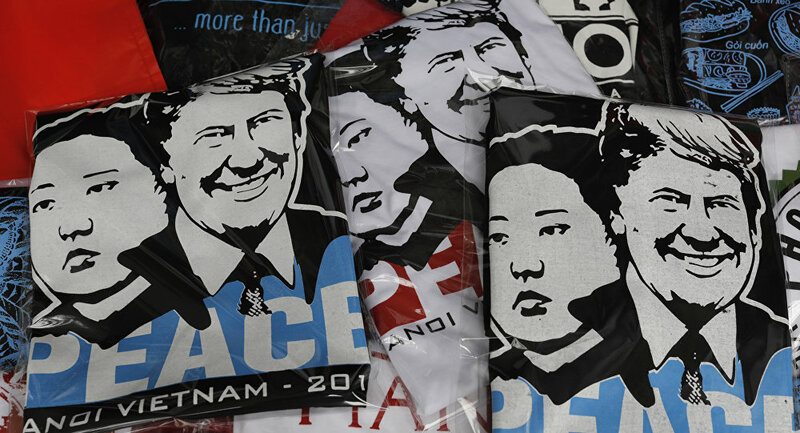 Previously, the much-anticipated second meeting between Trump and Kim in Hanoi came to a sudden and abrupt end earlier this year without an agreement after the US refused to offer North Korea any relief from economic sanctions.